Issued at 1:56 am Saturday, 6 April 2019. Weather Situation: A cold front is approaching the Alpine areas. DAMAGING WINDS, averaging 80 to 90 km/h with peak gusts in excess of 100 km/h are expected for elevations above 1500 metres this morning. Winds are expected to ease during the Saturday afternoon. The NSW National Parks and Wildlife Service recommends that back country travel be postponed until conditions improve. 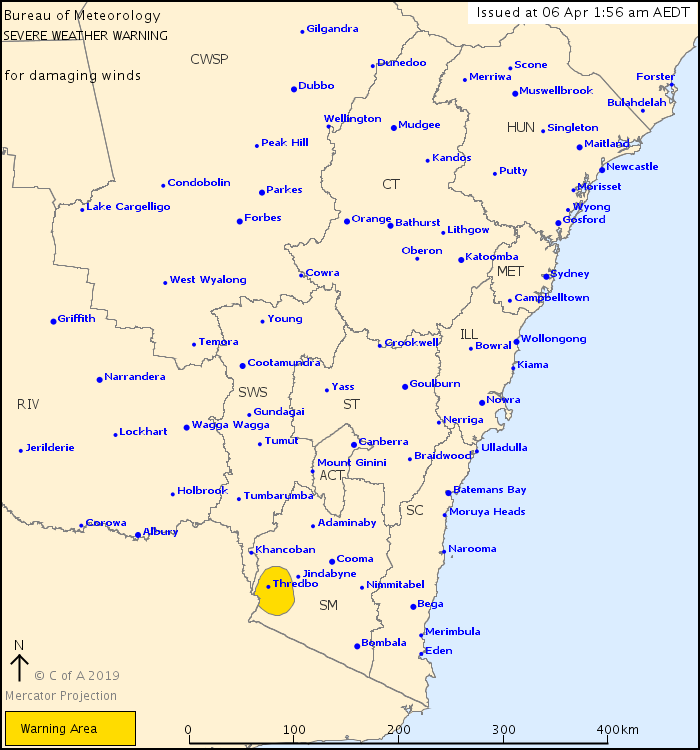 Locations which may be affected include Perisher Valley, Charlotte Pass and Thredbo.